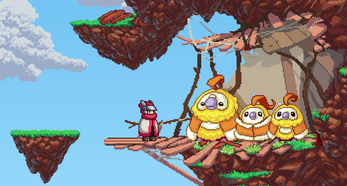 Nimbus Tower is a short platformer game set on a magical world of floating islands. 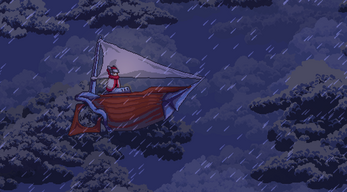 Your flying boat crashes into a mysterious tower and you'll have to find a way to escape... As you explore the islands you'll find new abilities that will grant you access to the other areas of the map. Approximate gameplay time: 15-20 minutes. If the game runs slow, it is recommended to play on window mode and make the window smaller. Really enjoyed the game, short yet sweet. It was so fun to play through that I even decided to speedrun it. It's very fun to find methods to get past the enemies (especially the slimes) while not dying and see so many spots where the enemies are timed perfectly for you to get past them. 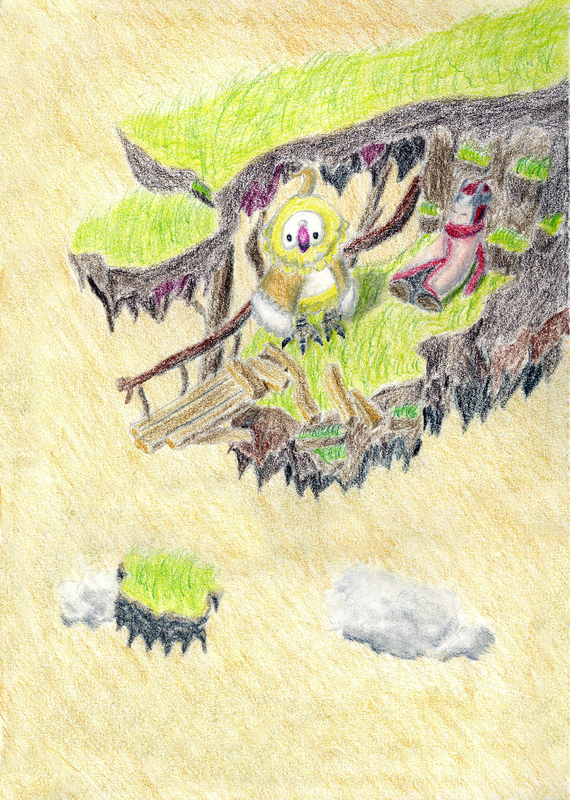 Below is a piece of art I decided to do of that lovely bird we meet at the beginning of the game. I wish you luck in any other games you make. Anyway, I'm happy to see you liked the game. we put a lot of care into it and it's awesome to see someone enjoyed it. Thanks for playing! Oh, it's ok, thanks for playing, I enjoyed watching your gameplay. Thanks for the honest, concrete feedback, I always appreciate it. I made a quick patch fixing the landing sound, and I added a whoosh sound for the sword and a sword hit sound. Also added sounds to the boss's attacks so now the tentacles are more obvious. When I started playing the game I didn't expect to replay it so many times. I find the game so much fun. The gameplay and characters are so good. 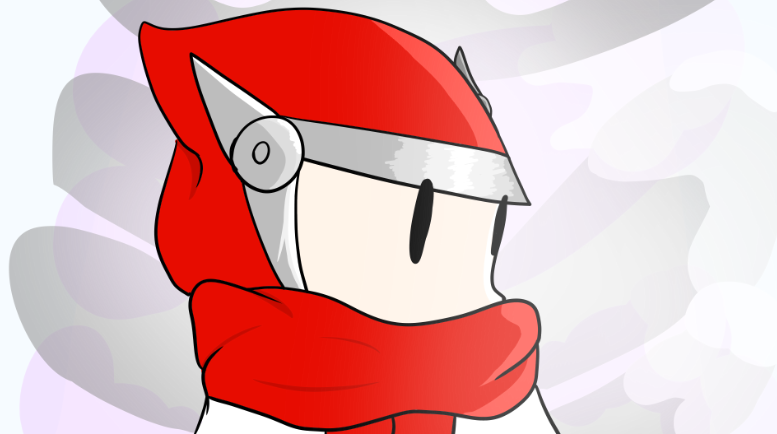 I even made this art for it. I wish a longer version of the game could be a thing. I found it so amazing. I found the other games you have made enjoyable with the sounds and characters. Keep on working and improving! Cool game! Played it using a controller, the controls were pretty nice. It took me like 15 minutes to finish the game, but it was pretty cool. The end boss was tough though. Loved the graphics and sounds. Only thing to improve would be to implement sounds when enemy gets hit and/or dies. Thanks for playing and thanks for the feedback! Cute game, love the art style and the music. Thanks again for bringing this game to my attention. Great Work. Whao it is really a beautiful game ! 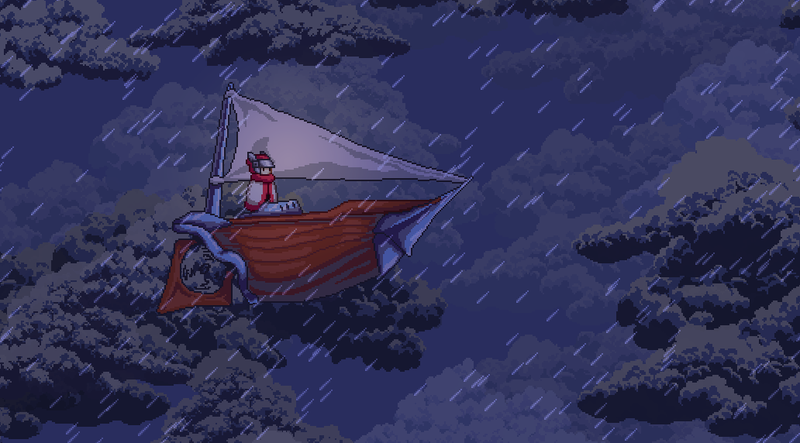 A love your pixel art and wonder how you did this (were you alone ?) Congratulations it si really nice to play. 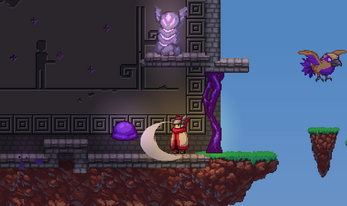 I am working on my platformer myself, check it out (it is less pretty but there are some great stuff anyway) It is called Woander. The art is goregous! I've played some of your other games, and none of them compare to the art in this one. The controls were great, except the sword swings were a bit slow. The little effects give the game much more character. There was variety! Sure, the enemies were a bit cliche, but they mixed things up a bit! Short and sweet; Didn't drag on too long. Short and sweet; The estimated play time is 40 minutes, but I beat the game in thirteen? This isn't really bad, it's just a bit confusing. The story told by the tower murals is a bit too vague. The boss was nice, but the area you fought him (her?) in was tiny. It probably could've been a bit bigger, though I understand that that would mean you'd probably need to expand the tower. Not only that, but his (hers?) hitbox is pretty big, so there were some times when I got hit just because I couldn't go anywhere else, though this might just be my lack of skill :P.
I really liked this game, and you don't know how inspiring this is. Good luck on your next one!